AbbVie has bagged approval in Europe for its new hepatitis C virus combination therapy, allowing it to step up competition against rival Gilead Sciences. The all-oral combination of Viekirax (ombitasvir/paritaprevir/ritonavir) and Exviera (dasabuvir) has been approved by the European Medicines Agency (EMA) a few weeks after it was given its first green light as Viekira Pak in the US. It has also been approved in Canada under the Holkira Pak brand name. The drug has been tipped as a potential $3bn-a-year product and will compete with Gilead’s Harvoni (sofosbuvir and ledipasvir), a fixed-dose line follow-up to the massively-successful Sovaldi (sofosbuvir) which was approved in Europe last November. 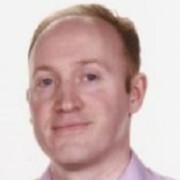 Viekirax plus Exviera has been given a broad indication in Europe, and has been approved for use (with or without ribavirin) in patients with genotype 1 chronic HCV, including those with compensated liver cirrhosis, HIV-1 co-infection, patients on opioid substitution therapy and liver transplant recipients. Viekirax has also been approved for use with ribavirin in genotype 4 HCV. The new oral regimens are making rapid in-roads into the HCV market at the expense of injectable interferon-based regimens which are hard to tolerate and less able to effect a cure, although their high prices are raising concerns about the ability of healthcare systems to foot the bill for treatment and leading to calls for a new drug pricing model. Analysts are divided on the eventual winner in the HCV market. Harvoni has a lead in the market and can rise on the back of Sovaldi’s record-breaking launch momentum, having racked up $9bn in sales in the first nine months of 2014. 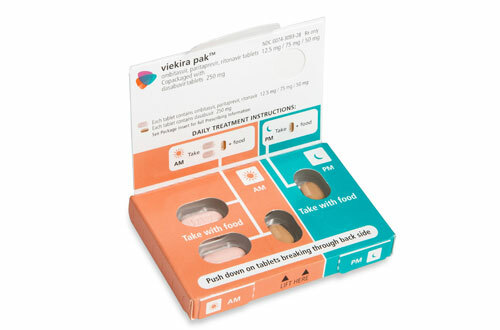 Moreover, Gilead’s drug is taken as a single tablet once daily, while the Viekirax/Exviera combination will require two pills, one taken twice a day. The key for AbbVie will be to price its four-drug regimen competitively, and the company did so in the US by setting the list price for Viekira Pak at $83,319 for a 12-week course, which is approximately a 12 per cent discount to Harvoni’s $94,500 price tag for the same treatment duration. The rivalry between the two companies in the US has seen each cut exclusive deals with health insurers in the US in return for discounts on the drugs, with Express Scripts listing only Viekira Pak in its formulary and Humana covering only Harvoni. AbbVie had not responded to questions about its pricing plans in Europe by the time this article went to press, although analysts expect it to adopt a similar strategy as in the US and launch at a discount to Harvoni. News of the EU approval is also a boost for Enanta Pharmaceuticals, which originally discovered paritaprevir and stands to receive a $50m milestone payment, adding to $75m it pocketed on the drug’s US approval.